Member of the National Committee for Theoretical and Applied Mechanics of Russia (from 1987). 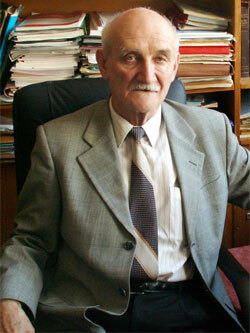 Vice-Chairman of the Scientific Council in Solid Mechanics of the Russian Academy of Sciences. Member of the General Council of the International Association for Computational Mechanics (1990-2004). Member of the Executive Council of the EUROMECH (1995-1999). Foreign member of National Academy of Sciences of the Republic of Armenia (from 2008). International Journal of Impact Engineering (1996-2008). Multidiscipline Modelling in Materials and Structures (2005-up to now). Izvestiya RAN. Mekhanika Tverdogo Tela (English translation: Mechanics of Solids). Problemy prochnosti i plastichnosti (Applied Problems in Strength of Materials and Plasticity. J. of High School of Russia). Numerical continuum mechanics. Moscow, Fizmatlit 2008. ISBN 9785-94052-163-1. Wave propagation in elastoplastic rods. Moscow, Acad.Sci.Publ., 1967 (Download in Russian). Kukudzhanov V.N., Kolomiets-Romanenko A.V. Evolution of plastic properties and defect structure of the metals due to the influence of thermoelctrical action. In "Topical Problems in Solid and Fluid Mechanics." Eds A.V. Manzhirov, N.K. Gupta, D.A. Indeitsev. Delhi: Elit Publ. House Pvt Ltd. 2011. P. 240-249. V. Kukudzhanov. The new numerically-analytic method for integrating the multiscale thermo elastoviscoplasticity equations with internal variables. J. Phys. : Conf. Ser. 2009. Vol. 181. 012055, 8pp. (ISSN 1742-6596, http://www.iop.org/EJ/abstract/1742-6596/181/1/012055). V.N. Kukudzhanov and V.S. 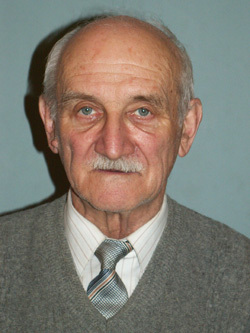 Synyuk. The Numerical Modelling of Coupled Elastoviscoplastic Finite Deformation and Damage Processes using the Splitting Method , Topical Problems of Solid Mechanics. November 11-14, 2008, BITS Pilani, Goa Campus. New Delhi: IIT Delhi, 2008, pp. 367-379. V.N. Kukudzhanov and A.L. Levitin. Coupled Thermomechanical Model of Metal Cutting Processes taking into account a Fracture and a Fragmentation, Topical Problems of Solid Mechanics. November 11-14, 2008, BITS Pilani, Goa Campus. New Delhi: IIT Delhi, 2008, pp. 271-282. V.N. Kukudzhanov. A new model and splitting method for the solution of equations of damaged elastoviscoplastic materials. Proceedings of 9th International Symposium on Plasticity and Impact Mechanics IMPLAST 2007 21-24 August 2007, Bochum (Germany). V.N. Kukudzhanov. A multiscale micromechanical model for modeling of damage of elastoiscoplastic materials. In Proceedings of EMMC-10 Conference "Multi-phases and multi-components materials under dynamic loading", 11-14.06.2007 Kazimierz Dolny, Poland, pp. 169-178. V.N. Kukudzhanov. A new splitting method for the solution of nonlinear equations of damaged elastoviscoplastic materials with complicated yield condition. Proceedings WCCM-VII. Los Angeles California USA, July 16-22, 2006. V.N.Kukudzanov. Surface shear strain localization and damage of elastoviscoplastic material in wave propagation problems. IMPLAST 2003. Proc. 8th Intern. Symp. Plasticity and Impact Mechanics. Ed. N.K. Gupta. New Delhi: PHOENIX Publ. House, 2003. V.N.Kukudzanov. Numerical Simulation of Plastic Strain Localization and Fracture Processes. Proc. WCCM V. Eds. H.A.Mang, F.G.Rammerstorfer, Vienna, Austria, 2002.